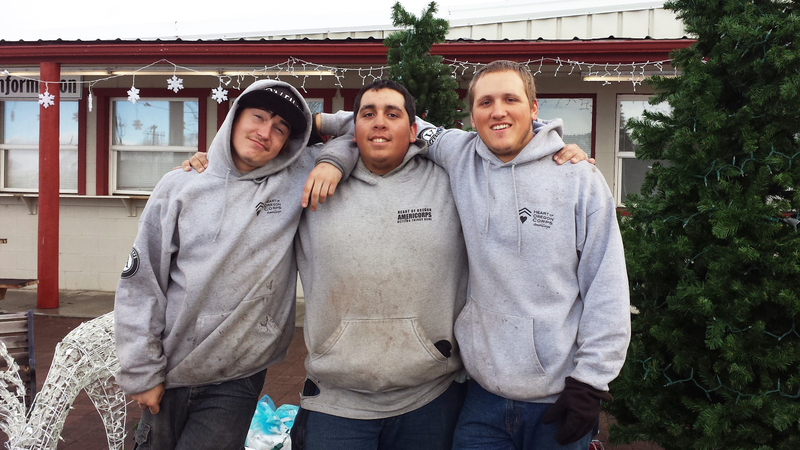 Heart of Oregon Corps : News & Events : Blog : Are you in? Are you in? Launching our Capital Campaign. 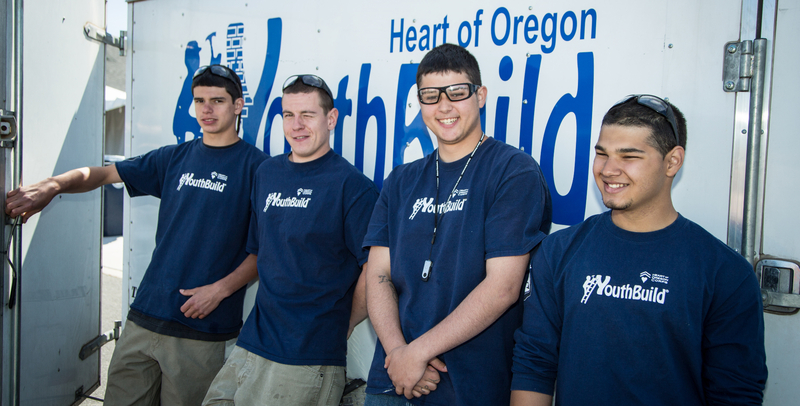 On any given work day thirteen large, white passenger vans and trucks laden with heavy equipment and a big “Heart of Oregon Corps” logo, transport local young adults to work all over Central Oregon. Once at the site, sometimes 50 or 60 miles away, these local young people set to work on projects ranging from building affordable homes for low-income families, to maintaining beloved recreational trails, to forest thinning projects that protect surrounding area from wildfire. These young adults learn valuable job skills and experience, but more importantly, they improve their community and become engaged in civic service. “Empowering Change” is the tagline at Heart of Oregon Corps (HOC), and that is exactly what we do for 250 plus young people each year. However, as we've have grown to expand their services to more youth in more rural communities, we’ve had to bend over backwards to stretch our current fleet of vehicles and equipment to accommodate all the young people and service projects. Not to mention, we’re doing it with 60% of our vehicles over 17 years old. As Heart of Oregon Corps’ size, scope, and aspirations continue to increase, the need has never been greater to turn our attention to the vehicles and equipment that make it all possible. On Thursday, October 8th, we kicked off Fleet for the Future, a capital campaign designed to replace the vehicles and equipment that are so crucial in operating our programs. At a launch party held at COCC’s Culinary Institute Restaurant, Elevation, we announced a Kickoff Challenge Grant, doubling initial donations to the campaign up to the first $100,000 and encouraged the community to get involved in this exciting campaign. Attendees said, "I'm in" and generously donated to the campaign: $8,500 of individual donations added to a $10,000 gift from Mt Bachelor's Charity Ski Weeks. These gifts will be doubled by the matching grant, for a total of $37,000! Current campaign supporters include local community members, Mt Bachelor, The Maybelle Clark Macdonald Fund, and the Oregon Community Foundation Douglas Crary Laidlaw Charitable Fund. You can join the campaign by donating here.